Dr. Navid Zamani has exceptional and highly unique Dental Training. He has received his D.M.D. degree from Tufts University School of Dental Medicine in Boston, Massachussetts in 1995. He graduated among the top of his graduating class. During his academic years in Tufts University he received the most accomplished award in Restorative and Fixed Prosthetic Dentistry. Dr Zamani served in the Miami Beach Coast Guard station during his Externship program, where he accomplished the most restorations than any other extern during the history of the Tufts program. An accomplishment that Dr. Zamani is very proud of. Dr Zamani has been practicing Dentistry since 1995. 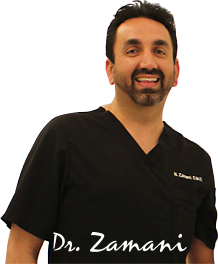 Dr. Zamani practices Holistic Naturopathic Neuruomuscular dentistry as well as Advanced General and Cosmetic Dentistry. He is a member of the Las Vegas Institute for Advanced Dental Studies, International Academy of Oral Medicine and Toxicology. Dr. Zamani utilizes the most advanced and state of the art techniques in dentistry and is constantly undergoing dental continuing education programs to stay on top of the ever-changing techniques in modern dentistry. Dr. Zamani emphasizes on quality, honesty and integrity as the foundation for his dental practice. He constantly strives to make his patients more comfortable and relaxed while undergoing dental care. Dr. Zamani’s goal is to provide exceptional service at a great value and always makes sure that you as our patient is our number one priority. In our practice we change lives on a daily basis! Dr. Zamani has been blessed to treat thousands of happy patients and our practice continues to grow exponentially throw positive referrals and word of mouth. We continuously see patients from outside of the Los Angeles area, and the country. Our Sherman Oaks dental staff is a team of highly skilled, educated and sensitive individuals that assist Dr. Zamani in providing the ultimate in dental care to all of our patients. We are passionate about our patients. 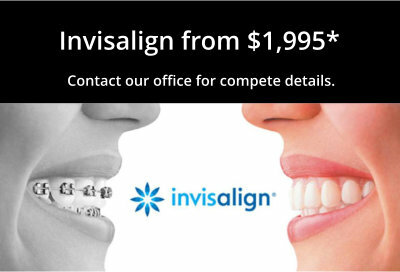 Call 818.788.7711 to schedule an appointment.